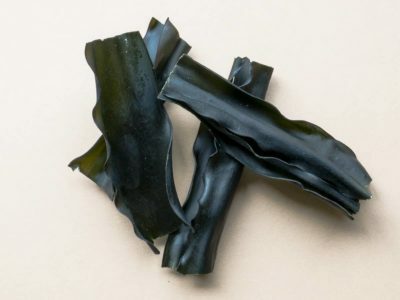 A mix of Kombu (Laminaria setchellii) and Wakame (Alaria marginata). Once you try this, you’ll never go back to commercial kelp powders! 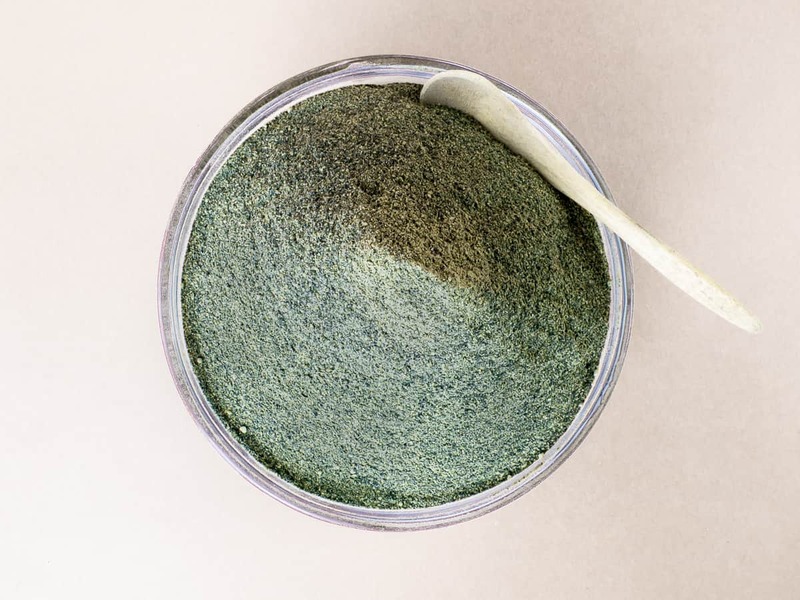 Our Kombu-Wakame Powder has a clean, fresh taste. Ready to use as a flavorful, salty seasoning on cooked vegetables, rice or popcorn, as an ingredient in breads and smoothies, for thickening soups and sauces, or simply mixed into a cup of water or juice. Kombu-Wakame Powder is a good source of iodine, selenium, calcium, potassium and therapeutic polysaccharides. One level teaspoonful weighs about 4 grams. 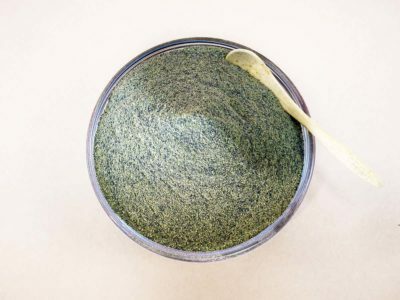 Kombu-Wakame Powder will retain its quality for two to three years if kept dry and away from light and heat. Seaweeds are natural products of the ocean and may contain trace amounts of crustaceans or shellfish. Our Kombu-Wakame powder adds vitamins, minerals and umami flavor to the popcorn. Kids love it too! Melt the coconut oil in a thick-bottomed pot. Add the popcorn, then heat and shake the pot until it’s all popped. Put the popcorn into a large mixing bowl. Slowly pour the melted butter or olive oil over the popcorn as you mix it. Sprinkle salt and Kombu-Wakame Powder on the popcorn, then season to taste with paprika, chipotle pepper or curry powder. 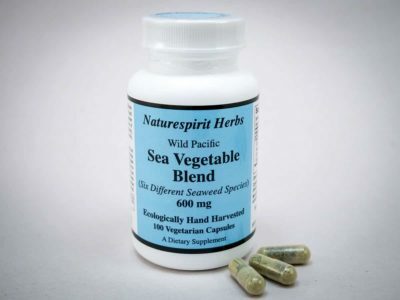 “A few years ago, I started using Naturespirit's Kombu and Bladderwrack powders along with selenium. It really helped improve my thyroid health. The information provided by James and Ryan Drum on the thyroid is invaluable and much appreciated. I refer patients to his website often. Also, my kids love your Kelp Fronds and Sea Palm. They are easy, nutritious and delicious snacks." 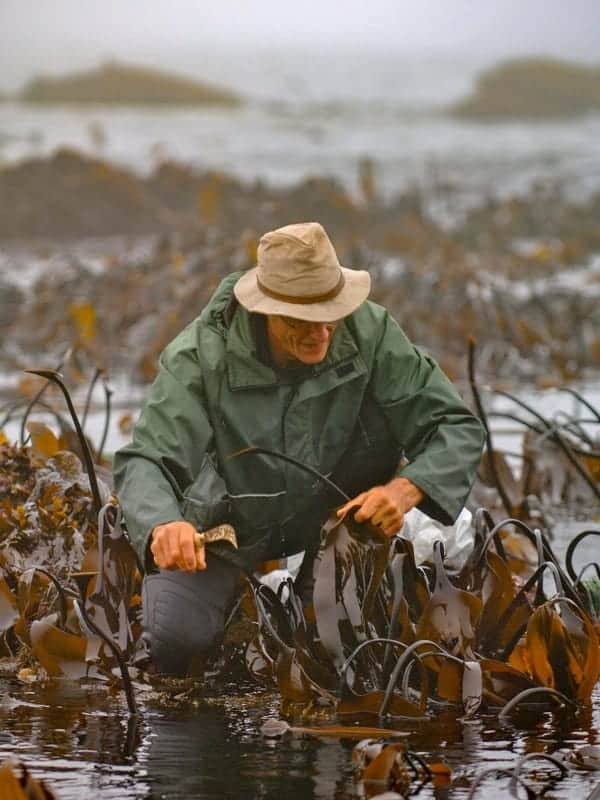 Co-founder James Jungwirth harvests Kombu. 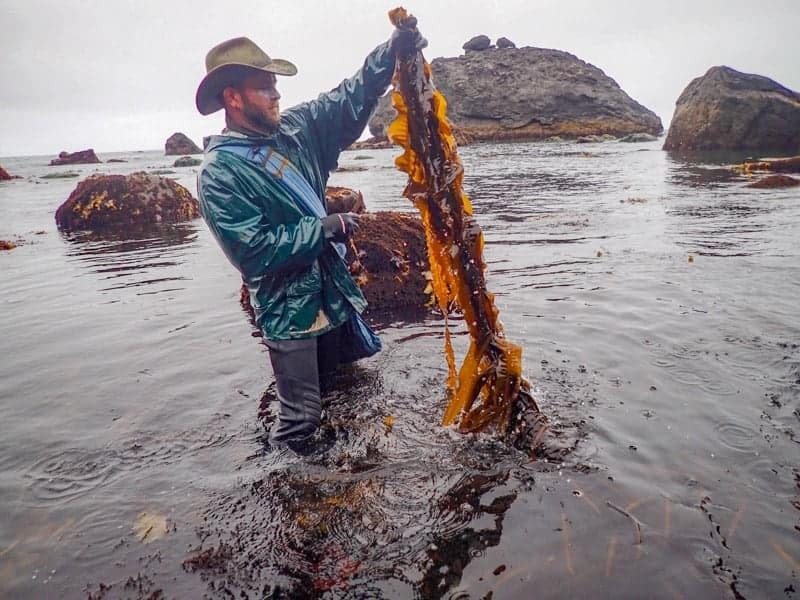 Seaweeds are natural products of the ocean, and may contain trace amounts of crustaceans or shellfish. Free shipping on your next order? Sign up for our newsletter, and we’ll send you a coupon code for free shipping on your next order. *You have the freedom as well as the responsibility to decide what to put into your own body. 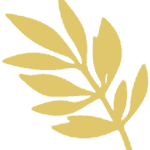 The medical information on this website has not been evaluated by the FDA, and is for educational purposes only. It is not intended to replace your own good judgment or the advice of a qualified health care professional.